With the release of Gentry’s new REGEN it’s time to celebrate! 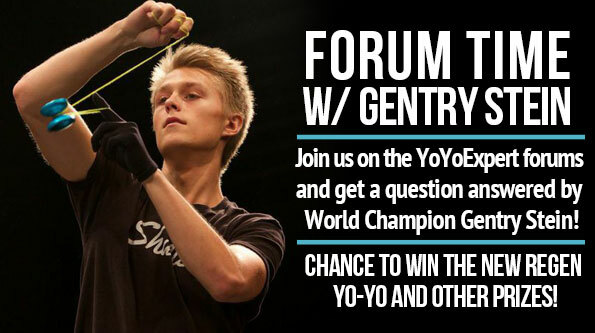 Join us HERE and get a question answered by WORLD CHAMPION Gentry Stein! 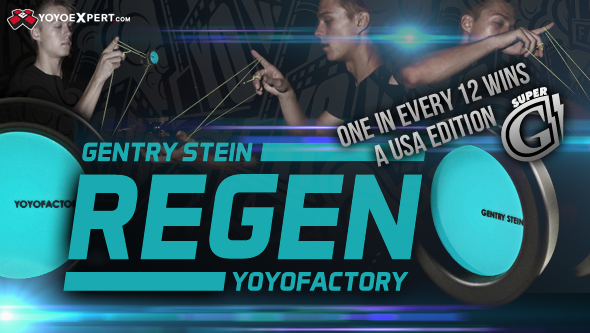 TWO CHANCES TO WIN THE NEW YOYOFACTORY REGEN! 1. Best Question Asked (Gentry’s choice). 2. One ‘Random’ Winner chosen from people who asked a Question. PLUS we have Gentry Stein Trivia Questions! Answer the questions HERE for your chance to win! And don’t forget about the all new REGEN available starting Sunday! 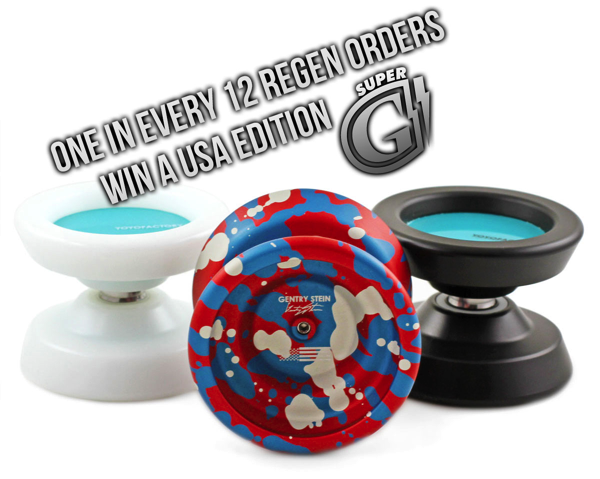 Did we mention – one in every 12 orders for a REGEN also gets a USA EDITION SUPER G?! It annoys me how you have so many Shutter colorways that you don’t have photos for. If you want people to buy the yoyos, you should probably have a photo of what the color looks like.